In previous article, we covered why schools by themselves cannot help all children to fulfil their potential and parents need to actively participate their children’s learning to school success. So, how we as a parent can take charge of our children’s education and help our children excel at their learning? Make sure that your child has a desk in a quiet, well-lighted area. Give him access to an appropriate dictionary and reference materials. Make sure he sees you reading. Go to all parents’ evenings. Useful though this basic advice may not enough! Many parents who have followed all these suggestions are still worried because their children are not doing their best, either at school or with their homework. Consequently, these children are not learning all that they could and should be learning, in terms of both school subjects and good habits. The parents of these children and teenagers are frustrated and want to know what else they can do. 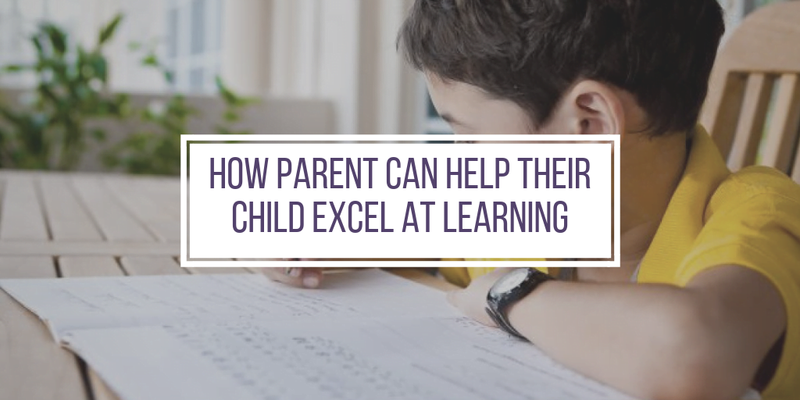 Luckily, there are positive and effective alternatives to letting schoolwork and homework deteriorate until they become a huge source of friction in the family. Homework is one aspect of children’s schooling that parents have the most access to and the most influence over. Therefore, it makes sense for parents to be proactive and to harness the huge potential of homework to improve academic learning and sensible work habits. We as parents want to help children to feel successful. In schools where homework is set, most young people cannot be (or feel) successful unless they are handing their homework in on time and doing their best on their homework. And even when children are attending schools that do not set homework, it is still recommended that some formal academic home learning, targeted to the child’s specific needs, be done daily. All children have weak areas that need to be strengthened. All children should be stretched, and parents can do this better than teachers because parents know their child better and they can work one-to-one with that child. All children need to develop good work habits and become more and more self-reliant. Six days a week (including holidays) you will be closely supervising all your child’s home learning: Homework, reading, memorizing, revision and projects. Your participation will be needed for approximately one hour every day during the usual homework time. For younger children, the hour can be divided into two separate half-hours or even three sessions of twenty minutes each. Why will you do this? You need to take charge of your children’s homework habits because these are the school success skills that will enhance learning, boost confidence and motivation, and enable your children to get the most from school and from all the other areas of their lives. Homework habits lead to school habits, which lead to life habits. Enjoyable, productive homework habits need to start out as rules that parents initially lay down as law. We must not expect our children to be happy about the new rules at first. But if we persevere, staying friendly and firm, over time, and sooner than you might think possible, resistance fades, the rules become accepted and even appreciated. The rules then gradually become routines, habits. Here are 6 Essential Homework Rules that will help building extremely productive habits for your children. Start the habit of having your child sit down and do homework, memorizing or revision every day. Among other benefits, this is the way to train children and teenagers in the habit of revising well in advance of tests, rather than cramming for one or two nights before a test. You might wonder why is it so important to establish a daily homework schedule for your child and to make sure that he sticks to it? Because routines reduce resistance. And, do not skip weekends. Two or more days in a row without homework can make re-establishing the homework routines on Monday evening that much more difficult. A break of two days is a long time in the life of a child. During this time, he can mentally start sliding out of the productive habits that you have been putting so much effort into reinforcing during the week. One day off a week is the optimum. One day off will be greatly appreciated, and it will not undermine the weekly routines. It is wise to designate Sunday as the home work free day, which means that all weekend homework and revision needs to be completed on Saturday. Wherever possible, plan for homework to be done at the same time every day. That way it is predictable, and therefore easier, for everyone to remember and accept. Of course, this may not always be possible because modern life has so many variables: after school activities, parents’ work schedules, household tasks, emergencies, etc. But you can still establish routines. Homework can be at the same time every Monday, even if on Tuesdays it has to be at a different time and on Wednesdays at yet another time. Make a chart and post it in a prominent place. Refer to it frequently. This will greatly reduce confusion and resistance. Making homework an absolutely clear priority by devoting some time to it every day is an important key to school success. * Do a thorough, careful job on homework. * Practise a few micro-skills in order to improve weak areas. The child who wastes time earlier in the evening by complaining or arguing may panic a few hours later and plead to be allowed to stay up past his bedtime to finish. This child may end up with no guilt-free leisure time. He is left with the feeling that all he ever does is schoolwork and homework , even though we know that for a larger chunk of his evening he was staring sullenly at, rather than actually doing, his homework. Some children, particularly those who are sensitive or unconfident, become perfectionists and would choose, if allowed, to spend most of their evening working. This is no good for them; all children need to have ‘downtime’ every day. A child may be working diligently, but find the work so difficult that it takes him longer to finish than it should. He too needs guilt-free leisure time. And the school needs to know that he is not capable of completing the homework within the suggested time. Otherwise, the teachers will continue to set homework that is not appropriate for the child. State schools are required by law to differentiate the delivery of the curriculum to enable all pupils to learn. The child who spends all evening working should not simply be given less homework. Each of his teachers will need to find out where the difficulty lies and then teach him from that point, rather than expecting him to understand something that he does not yet understand. We should also not let children spend less time on their homework than the school’s guidelines. We need to guide children into the habit of doing their best, which always entails slowing down and focusing on accuracy, thoroughness and excellent presentation. Otherwise they will develop the habit of rushing through their work to get it over with quickly, and will not be learning what we want them to be learning. Occasionally a child’s homework is so easy for him that, even with good attention to detail, it does not take him the full amount of time the school recommends, if this happens a lot, ask his teacher to give him more challenging work. If the teacher is too busy to do that, you will need to do that yourself. One of the best ways to help children take homework seriously is to make, an then enforce, the rule that homework and revision need to be completed, to the parents’ satisfaction, before leisure activities can begin. This rule helps ease children into the habit of earning the goodies in life, rather than expecting instant gratification. After school, most children need to unwind and have something to eat before they plunge into their homework. A healthy and an active break will relax and refresh them: a short bike ride, playing catch, trampoline, etc. Sitting in front of a screen, however, does not refresh or motivate; in fact, it saps enthusiasm for any other activity. How many pages does this essay have to be? What will you do if you can’t spell a word? Does your teacher expect you to write full sentences or on-word answers? Where do you put the carry number? The parent’s job is to ask the questions; the child’s job is to think for himself and to answer the parent’s questions. The only time that you will switch from asking him to telling him what to do and how to do it is when one of his answers is incorrect, incomplete or confused. Once the point has been clarified to your satisfaction, ask him the same question again, as many times as necessary, until he can tell you exactly what he needs to do and how he will do it. Homework is designed to be done by the child, not by the parent. With very few exceptions, homework is not meant to be a collaborative effort. Homework should be ongoing training in self-reliance, so in the second stage, the child works completely on his own, with NO HELP. If you think he might need help with some aspect of his homework, encourage him to ask questions about that in the Stage One think-through again. Once Stage Two begins, your child is on his own. A thorough think-through in Stage One will eliminate many of the mistakes he usually makes, but of course he will still make some mistakes. When your child makes a mistake during Stage Two, do not say a word: do not front, nudge, shake your head or point to the mistake. Until your child is more mature and more motivated, we recommend that you stay in the room during Stage Two, so that you can Descriptively Praise and Reflectively Listen every few minutes, if necessary. This is the time when we comment on what the child has produced. Together, the parent and the child evaluate the work, and then the child makes the improvements. It often helps to leave a period of time between the composing in Stage Two and the evaluating in Stage Three. This enables the child’s brain to transition from one function to the other. First, each of you finds three good (or at least OK) things to praise about the piece of work. Then, you and your child each notice and mention two things about that piece of work that your child will need to improve. The more thoroughly you have done the think-through in Stage One, the less there will be that needs correcting or improving in Stage Three. Even so, on most days you will probably notice more than two things that could be improved. But mention only two; otherwise, you risk discouraging your child. Rather than telling him what his mistake was, give a diagnostic response. This will teach him, over time, how to solve homework problems on his own. Let’s say he has written “10” as the answer to “5×5-?”. You can say, “10 would be the answer if you were adding.” Then wait while his rain figures out what he should do. Stage Three is very important, so give it plenty of time. And don’t be surprised if your child resists noticing and acknowledging his good work as well as his mistakes. He may be in the habit of thinking his homework is over as soon as he stops writing. Your insistence on Stage Three may come as a shock at first. 5. Do not let your child leave the hardest task until last. Make sure your child tackles the most troublesome subjects or tasks while his brain is freshest. This will promote optimum learning. It will also remove the nagging dread that eats away at anyone’s good humor when they are putting off something that they expect will be unpleasant. 6. Make use of the holidays. Holidays are a perfect time to improve school success skills – painlessly! You may have heard of the ‘summer slide’. This refers to how much academic ground children lose over the six weeks of the summer holidays. At best they may lose just a couple of months, but with pupils who are finding school difficult, it can be a loss of almost a year’s worth of skills. However, the summer slide is not inevitable. Just half an hour a day of academic work during the holidays can keep your child’s brain oiled, so it doesn’t get rusty and seize up. Don’t leave it up to your child or teen to discipline herself about holiday homework, reading, projects or revision. Even with the best intentions, she is likely to put it off. The holidays seem so long; it feels to her as if she will have plenty of time to tackle it next week…. Or the week after…or the week after. And then, before you know it, the end of the holiday is in sight and panic sets in. This does not help children to do their best. Even before the holidays begin, sit down with your child and together plan how much needs to be done, each week and each day, in order to finish all the holiday homework or revising wish one full week to spare (in case there is a hiccup and you find that some bit of it takes much longer than you both had anticipated). The best time for the half-hour of academic work is after breakfast and before fun. That way you all know that it is done and out of the way before the day begins. And whatever else your children do that day, it will feel like more of a treat because they have already done that half hour of homework. To establish the habit of reading for pleasure, set aside 10 to 20 minutes each day when the whole family sits together in the same room, each silently reading from a book of their choice. Even a child who thinks he hates reading can cope with this short amount of time. And day by day, you will be strengthening his stamina and reducing his resistance of reading. Identify three micro-skills your child needs to improve and help her to revise each one for five minutes a day. You will be surprised how much progress she makes in just a few weeks. We have covered 6 essential homework/study rules that parent can take charge of our children’s education and help your children excel at their learning. Now we want you to implement these rules and make massively positive change in your child’s learning behavior and performance.